Bear and Mouse have plenty of friends and things to count. 1, 2, 3, 4, 5 Bear counts dragonflies, apples, clouds, stumps, lily pads, and so much more. 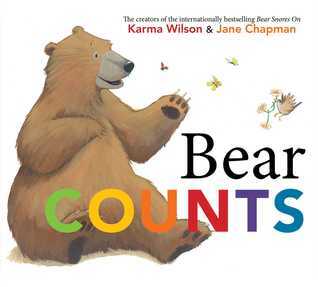 Count along with Bear in this rhyming adventure. 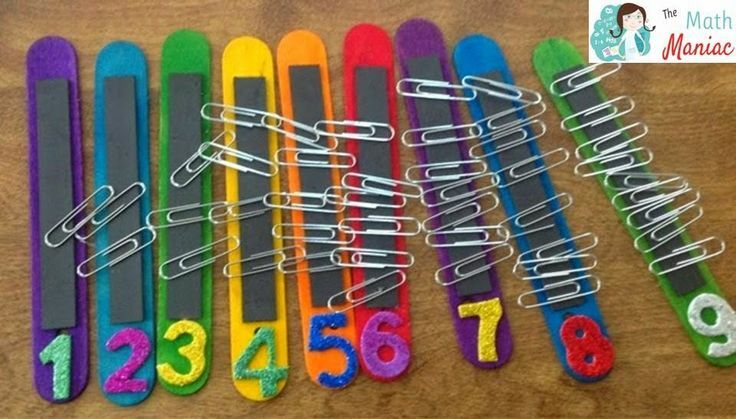 The nice thing about this counting book is that it doesn’t count only one set of things for each number, but several different things. There are four fish, four geese, four turtles, and four frogs. 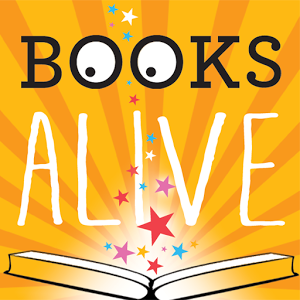 And when you get to the final pages, there are many sets of things in the pond that your child can count too! 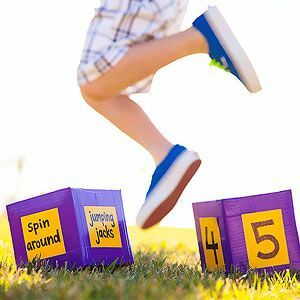 Great counting fun activities with added gross motor bonus benefits. 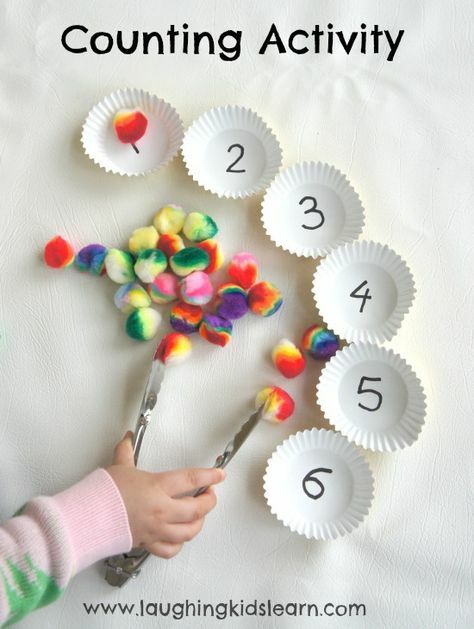 Pick up pom poms (or other small objects with tines and drop them into counting cups. 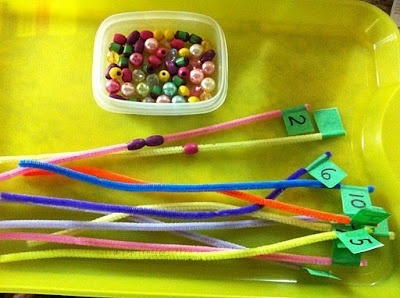 Count and string small beads onto pipe cleaners. 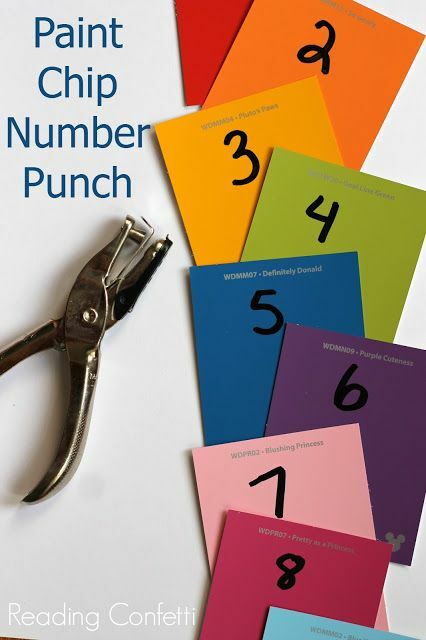 Use a hole punch to make the matching number of holes on each labeled card.